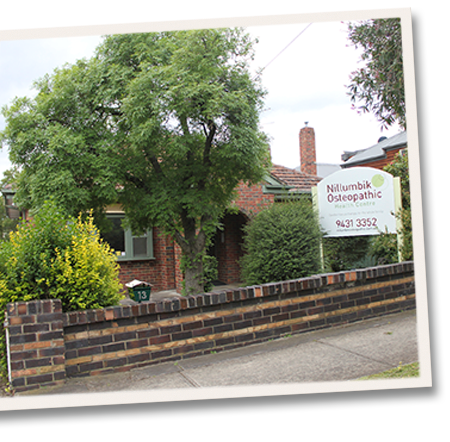 Nillumbik Osteopathic Health Centre is conveniently located on Luck St, Eltham (near Main Rd). There is ample parking available, with a private car park behind our premises for patients only. There is also a large shopping centre car park directly opposite our clinic and street parking. We’re a short 5-10 minute walk from Eltham train station and bus stops. We require 24 hours notice for all appointment cancellations. A $50 late cancellation fee may be charged if an appointment is broken or cancelled within less than 24 hours. Payment is required at the time of appointment and can be made by cash, cheque, EFTPOS, Visa and MasterCard. Our clinic works with WorkSafe, TAC and Vets Affairs. The clinic does not bill the insurer. Payment is required by the patient at the time of consultation. The patient then makes their claim directly from WorkSafe or TAC. On cancellation or withdrawal by the insurer, any outstanding fees are the direct responsibility of the patient. 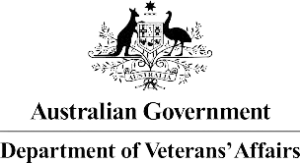 For Veteran Affairs patients: payment is not required at the time of consultation, as the Clinic sends accounts directly to Veteran Affairs for processing. A referral is not required by a private patient to attend an osteopath. DVA (Dept. Veterans Affairs) patients do need a GP referral to commence osteopathic treatment. Once eligibility is confirmed, the clinic can directly bill the Department of Veterans Affairs. The initial capacity certificate for WorkSafe and TAC must be issued by a GP, but subsequent certificates can be issued by our osteopaths.